Try dragging from one list to another. The item you drag will be cloned and the clone will stay in the original list. Try sorting the list on the left. It is not possible because it has it's sort option set to false. However, you can still drag from the list on the left to the list on the right. Try dragging the item with a red background. It cannot be done, because that item is filtered out using the filter option. Try modifying the inputs below to affect the swap thresholds. You can see the swap zones of the squares colored in dark blue, while the "dead zones" (that do not cause a swap) are colored in light blue. 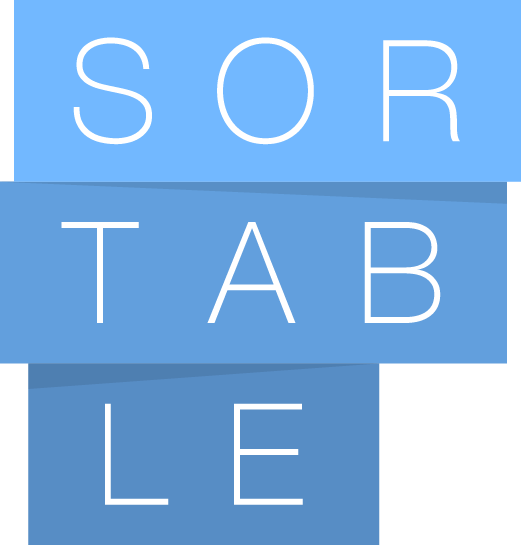 NOTE: When using nested Sortables with animation, it is recommended that the fallbackOnBody option is set to true. It is also always recommended that either the invertSwap option is set to true, or the swapThreshold option is lower than the default value of 1 (eg 0.65).